In French and Malagasy with English subtitles. 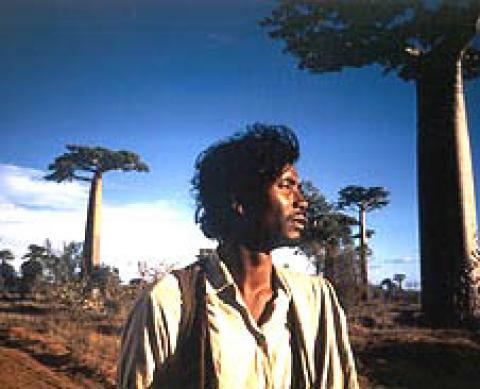 Raymond Rajaonarivelo follows his epic first film on the Malagasy liberation struggle, Taba Taba, with a very different, poetic film exploring the relationship between traditional and modern concepts of human freedom. He writes: "In French magic and image are made from the same letters... In this film, there will be Magic as long as man is dependent on mysterious forces that overwhelm him, and Image when man has acquired enough power over space, time and himself to no longer be afraid of his life."